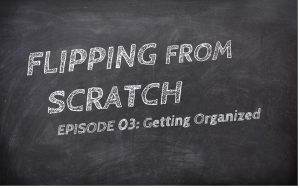 In episode three we start taking the content we created and look toward organizing that content. The key to getting organized is not which format to use, or even getting particularly fancy with the organization. The point of getting organized is to ensure that students have the necessary resources when they need them. The bonus is making those resources available 24/7.